LVS Corp Chairman and CEO Sheldon Adelson and his wife, Miriam, have splurged another $25 million in a bid to help Republicans retain control of the US Senate in November’s midterm elections. According to Bloomberg, this adds to the $87 million they have already contributed to the GOP this election cycle, which already surpasses the $82.5 million they spent on Republican causes in 2015-16. The biggest beneficiary of the most recent donation was a super PAC called the Senate Leadership Fund, which is affiliated with Senate Majority Leader Mitch McConnell. Adelson is the wealthiest casino operator in the world and the 21st richest man on earth, with an estimate fortune of $38.5 billion, according to Forbes’ most recent Billionaire’s List, a snapshot of the word’s super-wealthy. 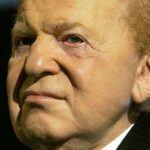 Adelson’s largesse has caused controversy recently. 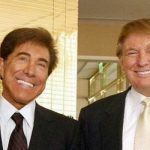 Propublica has claimed that US President Donald Trump used a high-profile diplomatic meeting with Japanese Prime Minister Shinzo Abe in February 2017 to recommend LVS for a license to operate in Japan’s soon-to-be established casino market. 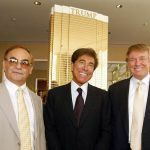 The investigative news-site also claims that Trump had dinner with Adelson the evening before the meeting. It is highly irregular for a president to help a donor to do business in a foreign country, although both Japanese officials and the White House have denied that such a conversation ever took place. While the Democrats are looking to retake control of the House, the Senate is expected to remain in GOP hands. However, Adelson’s home state of Nevada is viewed as one of the Democrats’ best chances of flipping a seat in the Senate. On Saturday, both Trump and former democratic vice president Joe Biden hit the campaign trail in key swing state — Trump to rural Elko; Biden to Las Vegas, to address that fulcrum of grassroots Democratic support, the unions. 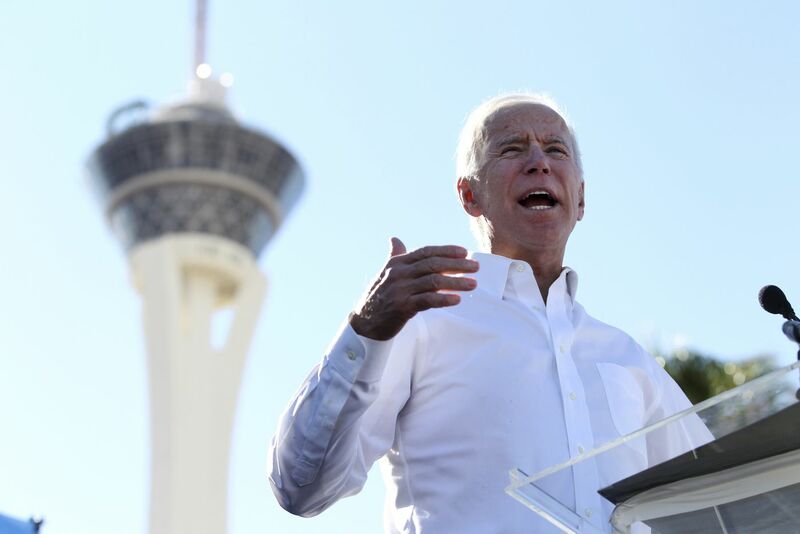 In front of a crowd made up largely of members of the Culinary Workers Union Local 226, Biden urged casino workers to get behind Democratic runner Jacky Rosen. Local 226 union represents about 57,000 housekeepers, bartenders, bellmen and other workers in the city’s casinos. It has been credited with helping Democrats to key wins in Nevada in 2016 and the party is hoping it can mobilize the Latino vote to avoid a repeat of the 2014 elections when many Democratic voters stayed at home. Campaigning for Heller, Trump dismissed the idea of a “blue wave” of Democratic support come November 6 and mocked the turnout for the Biden rally — some 500 in Las Vegas versus over 8,000 at his own in Elko. Today (Monday), former US President Barack Obama is due to hit the campus at UNLV in a bid to rally the youth vote for Democrats in Nevada. 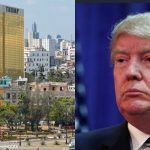 Was a Cuban Casino on Donald Trump’s Mind in 1998?